You Can Make Better Food Choices, Start Today! 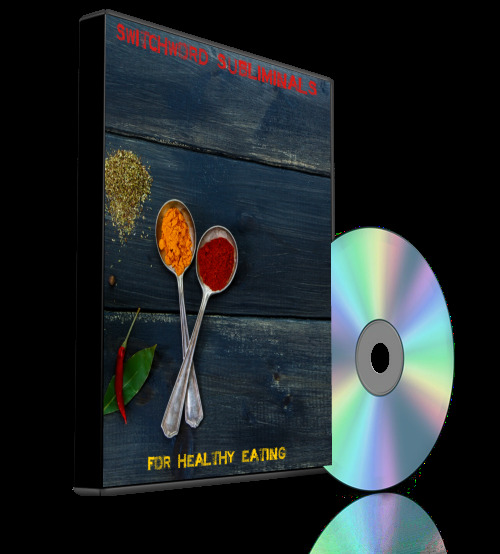 • Are you having a hard time staying on a health eating plan? • Do you often feel guilty about how you eat? • Do you feel physically rundown because you aren’t eating right? • Do You want to learn how to gain control over your eating? If you have truly made the commitment to eating healthy. this subliminal program is for you. This program can help you improve your motivation to make better food choices. The Switchwords in this program will penetrate your subconscious mind and will start working right away. Help you get clear about your health..
Help you develop good healthy eating habits. Will help you conquer unhealthy habits that derail your nutrition plans. When you feel you are about to make a choice that isn’t aligned with your dietary goals, you can pop in the audio or watch the video and you will be back on track.